Home / Gay Accommodations / Spain / Vera / Hestía vera - your rental, not just a rent! 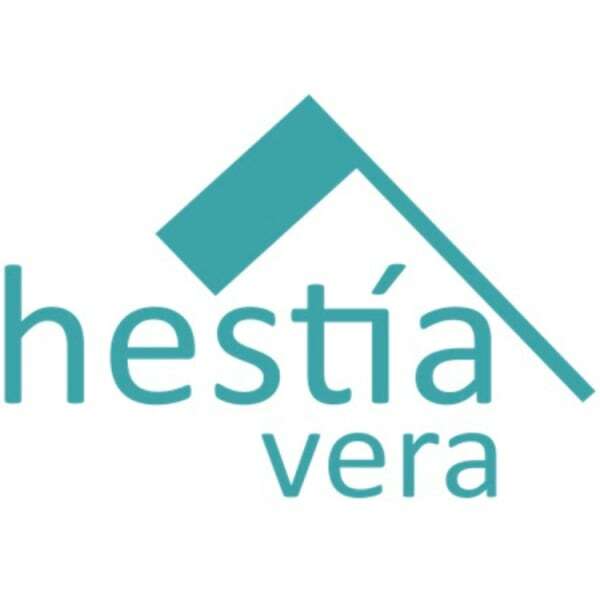 Hestía vera - your rental, not just a rent! Follow us on social networks and on our website (hestiayourhome)! We put at your disposal a complete accommodation, comfortable, well decorated and of quality. Hestía vera is not luxury. Neither is a rental apartment in the old style. It is more of a lodging that is created with the intention of you feel like in your own home, carried out with our greater affection, effort and dedication. It is what we would like to find when we travel. - Distance to the beach: less than 300m real. - Corner terrace of 20m2 with views to the sea, the village and mountains; Perfectly prepared to enjoy the sun and the moon. Covered, with awning, with chill out, with dining table, etc. - Double bedroom. Bed with mattress of viscástica of 150cm. - Bedroom of two single beds of 90cm with viscose mattresses of different firmness so that you can choose. - Living room convertible into double bedroom with 140cm bed and viscose mattress. - Two bathrooms. One with bathtub with hydromassage column and another with a small shower with chromotherapy. - Air conditioning of cold and heat. - Towels made of terry, white, 100% cotton, 600gr / m2 (as in high-end hotels). - Nordic feathers and acrylics (if you are allergic). - All appliances (including dishwasher). - Hydrotherapy and chromotherapy. Hestía vera also takes care of its aroma. - Smart TV 42 "with Internet. - Accessibility for people with reduced mobility. - Swimming pool, jacuzzi, bathrooms, showers and community green area. - Garage space for you to forget the car, if you want. - welcome kit to facilitate your first time in hestía vera. •	Respect the environment and try not to misuse the water and light services. At your home you would not live the air-condition on with open windows and, mostly, when you are not home. That is the point/That´s it: feel at home. •	Take care of the contents, furniture and details. Since we know that your care and use will be most respectful, we have decided to provide you with the best qualities: highest-quality towels and sheets, visco-elastic mattress, duck down duvets or synthetic (if allergic), hydrotherapy, chromotherapy… Therefore, we would like to inform you that, after your stay, an inventory count and an inspection will be carried out at hestía vera, consequently you should understand that any damage or theft will be under you responsibility. •	Since your rest is our main goal, you should respect as well our neighbor’s rest, avoiding noises, music and brawl at the wrong time. •	hestía vera is just for you own use and benefit/enjoy, not others´. •	Respect the check in (14:00) and check out (11:00) hours. A fair amount of time is needed to prepare the fireplace for the next arrival/hosts. •	Pets and animals are not permitted. •	Please, do not smoke. In hestía vera smoking in the interior is forbidden. Cleaning service fee included in the total nightly price. MUY CERCA. Conoce los alrededores de hestía vera. - Zona naturista de referencia a 100m. - Zona textil. hestía vera pertenece a una urbanización textil. - Zona gay friendly con locales y playas de referencia a nivel europeo. - Deportes de todo tipo, acuáticos (aquavera), hasta seis campos de golf. - Rutas para pasear de diferente índole (naturaleza, monumental, entre otras). - Restauración de todo tipo de cocinas. - Supermercados, farmacias y todos los servicios de primera necesidad. - Vera Playa, Vera, Mojácar, Garrucha son algunos de los pueblos que te recomendamos y que podrás visitar en tu estancia. UN POCO MÁS LEJOS. Lugares que no puedes perderte. - La belleza sin igual del Parque Natural de Cabo de gata, con sus salinas y flamencos con playas como Cala de Enmedio, Cala carbón, la Playa de los Muertos, Los Genoveses o Monsul son sólo algunas de las que te recomendamos especialmente. - Los pintorescos pueblos como Las Negras, La Isleta del Moro, San José, Mojácar tampoco debes dejar de visitarlos. - La riqueza gastronómica de su hostelería y los lugares de tapas en la capital, así como su casco histórico con el alcazaba merecen tu visita. - La peculiaridad del Desierto de Tabernas. - Para los más pequeños el Parque Fort Bravo en el que se han grabado innumerables películas del oeste y series actuales. VERY CLOSE. Know the surroundings of hestía vera. - Naturist area of ​​reference at 100m. - Textile zone. Hestía vera belongs to a textile urbanization. - Gay friendly area with local and reference beaches at European level. - Sports of all kinds, aquatic (aquavera), up to six golf courses. - Routes to walk of different nature (nature, monumental, among others). - Restoration of all types of kitchens. - Supermarkets, pharmacies and all basic services. - Vera Playa, Vera, Mojácar, Garrucha are some of the towns that we recommend you and that you can visit in your stay. A LITTLE FAR AWAY. Places you can not miss. - The unparalleled beauty of the Natural Park of Cabo de Gata, with its salt flats and flamingos with beaches such as Cala de Enmedio, Coal Cove, Playa de los Muertos, Los Genoveses or Monsul are just some of the ones we recommend especially. - The picturesque villages such as Las Negras, La Isleta del Moro, San José, Mojácar, you should not miss them either. - The gastronomic richness of its hospitality and the tapas places in the capital, as well as its historical center with the citadel deserve your visit. - The peculiarity of the Desert of Tabernas. - For the little ones the Fort Bravo Park in which they have recorded countless western movies and current series.